We offer a wide range of treatments, procedures, and products. Restore the beauty that is you.Leave the years behind. It's time to treat your skin to a microdermabrasion procedure, the gentle approach to skin renewal. The process smoothes and freshens the skin. It's not a chemical, not a laser, not a surgical procedure. Instead, a gentle treatment takes about 30 minutes after which you can return immediately to your daily activities. With this process you reveal the glow of newer fresher skin, reduction of fine lines and wrinkles, age spots, scars and other skin blemishes. This procedure begins with a cleansing process of the face. Then a combination of skin exfoliation and suction process stimulates production of new, living skin cells at the base level of the skin. This promotes cell turnover and improved blood flow. The result is healthier, younger and fresher skin with enhanced elasticity and skin texture. Effective for fine lines, age spots, acne acne scarring, blothiness, enlarged pores, and wrinkles. Do people ask you if you are angry or sad? Do colleagues ask you if you are tired? Do you have a permanent frown? Dramatic and long lasting improvements in your appearance are within your reach today - Consider Botox - the secret of celebrities for years. Botox is not a wrinkle removal cream or a new way to buff wrinkles away. Botox is a natural substance coming from a micro-organism that relaxes wrinkles from under the surface of the skin. Small doses of Botox are injected directly into the muscle that controls the wrinkle. The Botox relaxes the muscle and the wrinkle is smoothed. Botox injections have been used safely and effectively for over ten years. Each year, thousands of patients receive Botox for a variety of facial aesthetic conditions. It is a popular treatment for the disappearance of frown lines, crow's feet or wrinkles around the eyes, and forehead lines. Today more and more women are opting for the convenience of a wash and wear face,with eyebrows, and lip color that won't wear off. Permanent Cosmetics is the perfect solution for the busy and/or athletic woman, women with allergies to conventional makeup or those with trouble seeing to apply makeup. This revolutionary method of applying micro insertions of natural pigments into dermal layer of the skin. Medically proven and specifically designed to be completely safe. This procedure is offered for eyebrows, eyeliners, lip liner, and full lips to enhance the color, shapes, and size. We can achieve a subtle, soft, natural look to enhance your natural beauty or produce a bolder, more dramatic look. Before the procedure, a detailed consultation will discuss all colors, shapes, and sizes. Stop wishing you could wake up and look great....... DO IT! You will love it! This facial procedure includes a deep cleaning through a soft electric brush and enzyme exfoliation mask or therapeutic acne clay mask and steam treatment. It is designed to deeply cleanse and it is customized for normal, oily, or dry skin types. A technologically advanced procedure. Oxygen mist transports over 100 ingredients containing amino acids, trace minerals, electrolytes, and vitamin E into the dermis of the face to repair damaged cells. 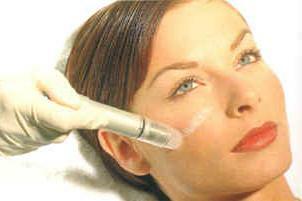 This procedure can reduce fine lines, create a healthy skin tone, hydrate the skin, and give a firmer skin appearance. This collection of makeup is only offered at upscale salons and dermatologist offices. Luminous and lightweight with coverage that has to be seen to be believed. This mineral based makeup gives any complextion a younger look. The minerals are anti-inflamatory and contain patent antioxidants. Recommended by plastic surgeons and dermatologists. Imagine not having to shave, tweeze, wax or go through electrolysis again! This technology offers a gentle, non-invasive, permanent solution to unwanted hair on the face, legs, back, bikini line or any other body area. Unwanted hair is a problem shared by both men and women. Millions of men and women spend thousands of dollars each year attempting to get rid of unwanted hair. Women frequently experience this condition on the face, especially the lip or eyebrow areas, at the bikini line, under their arms, or on their legs. While unwanted or excess hair is primarily a cosmetic concern, it can be very distressing to those who suffer its effects. Unwanted hair can be a source of considerable embarrassment, limiting people's activities and lifestyles.